AnInternet Service Provider(ISP) is an organization that provides services for accessing, using, or participating in theInternet. Internet service providers may be organized in various forms, such as commercial,community-owned,non-profit, or otherwiseprivately owned. Internet services typically provided by ISPs includeInternet access,Internet transit, domain nameregistration, web hosting,Usenetservice, andcollocation. 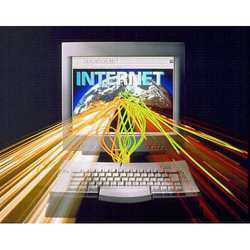 AVirtual Private Network(VPN) extends aprivate networkacross apublicnetwork, such as theInternet. 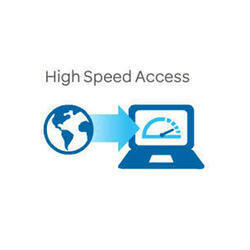 It enables users to send and receive data across shared or public networks as if their computing devices were directly connected to the private network, and thus are benefiting from the functionality, security and management policies of the private network.A VPN is created by establishing a virtualpoint-to-point connection through the use of dedicated connections, virtualtunnelling protocols, or traffic encryption. A VPN spanning the Internet is similar to awide area network(WAN). From a user perspective, the extended network resources are accessed in the same way as resources available within the private network.Traditional VPNs are characterised by a point-to-point topology, and they do not tend to support or connectbroadcast domains. Therefore, communication, software, and networking, which are based on OSI layer2 and broadcastpackets, such asNet BIOSused inWindows networking, may not be fully supported or work exactly as they would on alocal area network(LAN). VPN variants, such asVirtual Private LAN Service(VPLS), and layer 2 tunnelling protocols, are designed to overcome this limitation. VPNs allow employees to securely access the corporate intranet while travelling outside the office. Similarly, VPNs securely connect geographically separated offices of an organization, creating one cohesive network. 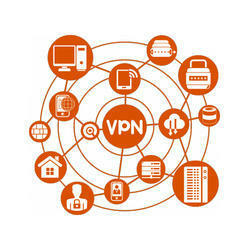 VPN technology is also used by individual Internet users to secure their wireless transactions, to circumvent geo restrictions and censorship, and to connect toproxy serversfor the purpose of protecting personal identity and location. An IPLC (International Private Leased Circuit) is a point-to-point private line used by an organization to communicate between offices that are geographically dispersed throughout the world. An IPLC can be used for Internet access, business data exchange, video conferencing and any other form of telecommunication. e. Online Portal for traffic performance monitoring. · Graduate to a unified communication product- Global SIP Connect by H1 FY 14-15. Owing to our wide experience in this industry we provide our clients with internet leased line service. It is a permanent service and dedicated connection to the clients. We provide very good service and always available. Our technical support is also very strong with the network being smooth and uninterrupted. Further, we can offer our customers plans as per their specific requirements. 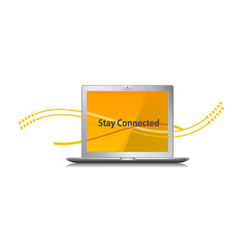 Keep your business connected with high-speed Internet connectivity service options from that provide a critical avenue for connecting with customers and suppliers, and accessing real-time applications over the Internet. 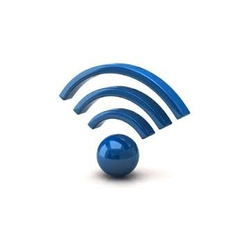 Wi-Fi can be less secure than wired connections, such as Ethernet, precisely because an intruder does not need a physical connection. Web pages that use TLS are secure, but unencrypted internet access can easily be detected by intruders. 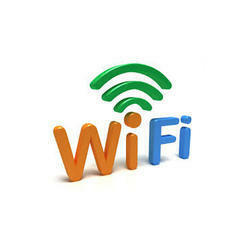 Because of this, Wi-Fi has adopted various encryption technologies. The early encryption WEP proved easy to break. Higher quality protocols (WPA, WPA2) were added later. An optional feature added in 2007, called Wi-Fi Protected Setup (WPS), had a serious flaw that allowed an attacker to recover the router's password. The Wi-Fi Alliance has since updated its test plan and certification program to ensure all newly certified devices resist attacks. We have been able to establish ourselves as one of the renowned names of the industry engaged in offering reliable Wi-Fi Networking Services to the customers. These services are highly demanded in the commercial & residential establishments where wireless networking is required. MPLS VPN is a family of methods for harnessing the power of multiprotocol label switching (MPLS) to create virtual private networks (VPNs). MPLS VPN gives network engineers the flexibility to transport and route several types of network traffic using the technologies of a MPLS backbone. Multiprotocol Label Switching (MPLS) is a protocol for speeding up and shaping network traffic flow. MPLS was created in the late 1990’s to avoid having routers waste time by having to stop and look up routing tables. The protocol allows most packets to be forwarded at the Layer 2 (switching) level rather than at the Layer 3 (routing) level. Each packet gets labeled at the edge of the service provider's network and that label determines which pre-determined path the packet will follow. The paths, which are called label-switched paths (LSPs), allow service providers to decide ahead of time what will be the best way for certain types of traffic to flow within a private or public network. MPLS uses a variety of protocols to establish Label Switched Paths (LSPs) and forward IP packets across the network. The first (ingress) router inserts a label (or a stack of them) in front of the IP header and forwards the packet. All the subsequent routing switches ignore the IP headers and perform packet forwarding based on the labels in front of them. Finally, the egress router removes the label and forwards the original IP packet toward its final destination. Service providers can use MPLS to improve quality of service (QoS) by implementing service level agreements (SLAs) that define acceptable levels of latency, jitter, packet loss and downtime. For example, a network might have three service levels -- one level for voice, one level for time-sensitive traffic and one level for traffic that won't matter if it takes a few extra milliseconds to travel through the network. The protocol also supports traffic separation and the creation of virtual private networks (VPNs), virtual private LAN services (VPLS) and virtual leased lines (VLLs). MPLS got its name because it works with the Internet Protocol (IP), Asynchronous Transport Mode (ATM) and frame relay network protocols. A common misconception is that MPLS is only used on private networks, but the protocol is used for all service provider networks -- including Internet backbones. Today, Generalized Multi-Protocol Label Switching (GMPLS) extends MPLS to manage time division multiplexing (TDM), lambda switching and other classes of switching technologies beyond packet switching. Setting up a robust Wi-Fi network for your business doesn't have to be a nerve-wrecking experience. CIO.com looks at seven key factors you need to consider, including access points, frequency bands, network management. There's a big disparity between the cost of consumer access points (AP) with business-centric models from leading brands such as Aruba, Cisco and Ruckus Wireless. Confused by what may appear to be similar specifications, small businesses may opt for cheaper consumer-grade Wi-Fi APs that are, in fact, inadequate for the task at hand. 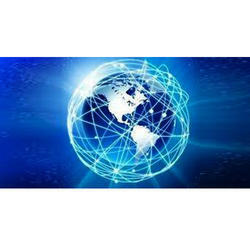 We are offering a wide range of Broadband High Speed Internet. 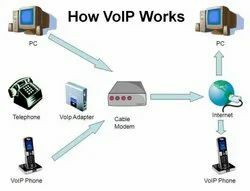 Voice-over-Internet Protocol (VoIP) is a methodology and group of technologies for the delivery of voice communications and multimedia sessions over Internet Protocol (IP) networks, such as the Internet. Other terms commonly associated with VoIP are IP telephony, Internet telephony, voice over broadband (VoBB), broadband telephony, IP communications, and broadband phone service. Early providers of voice-over-IP services offered business models and technical solutions that mirrored the architecture of the legacy telephone network. Second-generation providers, such as Skype, have built closed networks for private user bases, offering the benefit of free calls and convenience while potentially charging for access to other communication networks, such as the PSTN. This has limited the freedom of users to mix-and-match third-party hardware and software. Third-generation providers, such as Google Talk, have adopted the concept of federated VoIP—which is a departure from the architecture of the legacy networks. These solutions typically allow dynamic interconnection between users on any two domains on the Internet when a user wishes to place a call. 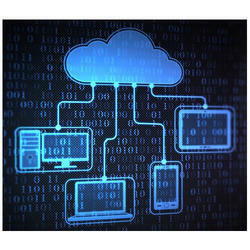 VoIP systems employ session control and signaling protocols to control the signaling, set-up, and tear-down of calls. They transport audio streams over IP networks using special media delivery protocols that encode voice, audio, video with audio codecs, and video codecs as Digital audio by streaming media. Various codecs exist that optimize the media stream based on application requirements and network bandwidth; some implementations rely on narrowband and compressed speech, while others support high fidelity stereo codecs. Some popular codecs include μ-law and a-law versions of G.711, G.722, which is a high-fidelity codec marketed as HD Voice by Polycom, a popular open source voice codec known as iLBC, a codec that only uses 8 kbit/s each way called G.729, and many others. 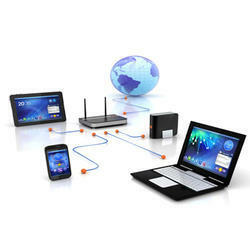 Looking for Wired, Wireless & VPN Internet Services ?